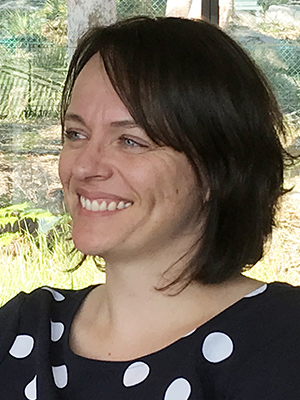 Heading up the AIPM’s Knowledge Team, Victoria is responsible for maintaining and developing the AIPM’s knowledge base, its academic architecture, suite of knowledge activities, learner and learning experience, and overall teaching quality. Victoria is an academic—a criminologist—by training. Something she (usually) makes no apologies for. She has a long history or working in universities, applied policy research institutes, and within policing in the UK and Australia as a researcher using both qualitative and quantitative research designs, interactive evaluation methodologies and participatory action research. She is passionate about interdisciplinary thinking, about diversity of ideas, and about research that is academically rigorous and practically relevant to police leaders. To which end Vicki characterizes herself as theoretically promiscuous and methodologically agnostic! Pragmatic, applied, useful, research is the aim. Amidst her other academic duties Vicki is currently working on a range of research projects spanning the domains of the nexus between law enforcement and public health; vulnerable populations; leader and leadership development; high performance teams in complex environments; and organizational wellbeing. Vicki holds a number of external positions that complement these activities. She is Adjunct Professor within the School of Social Sciences and Psychology at Western Sydney University; is Australasian Editor for the journal Policing: A Journal of Policy and Practice (Oxford); a member of the International Editorial Board for the Journal of Policing, Intelligence and Counter Terrorism; and the Journal of the Australian Institute of Professional Intelligence Officers; and an Associate Editor of the Salus Journal; and founding editor of the AIPM’s Public Safety Leadership Research Focus publication, a quarterly periodical published by AIPM to help translate academic research into practical implications for public safety leaders. She holds a Bachelor degree (Hons) in Psychology, and a Masters degree in Criminal Justice Studies, both from the University of Portsmouth, as well as a PhD in Laws from King’s College London and is currently completing her Executive MBA at the University of Oxford, Saïd Business School. In her spare time Vicki likes to hike, bake, and give “horsey rides” to her two toddler children. You can find more information on Victoria's work here.